Taking some simple measures can reduce the environmental toxins in your home and reduce the amount that gets into your body. Detoxing our bodies is always a very good thing to do and I like to create personalized detox programs for my clients. However, one of the important things to know is how to avoid getting toxins in your body in the first place. The following are some simple measures you can take to greatly reduce the environmental toxins in your home and greatly reduce the amount that gets into your body. Kitchen: Do not cook or warm food in plastic. Use glass or ceramic, best with a glass cover or wax paper. Filter your drinking water. MultiPure or offers high quality affordable systems. Or use reverse osmosis water. I have had William Wendling (o@oxygenozone.com) install my system in Los Angeles. Use glass water bottles. Stainless is okay…before use, pour boiling water in to it about five times, being careful not to burn yourself. This will remove most of the nickel that stainless can leach. No plastic used for warm foods or beverages. Use non-toxic, biodegradable dishwasher soap without phosphates, chlorine or NPE. Look for BioKleen, Ecover and Seventh Generation brands. Do not resort to spray cans of toxic bug killer. Instead, use boric acid-based bait stations and be rigorous about sealing every little crack with non-toxic glue and keeping bits of food wiped clean. Bedroom: Dust and vacuum frequently with a Hepa Filter vacuum or Dyson vacuum. Vacuum upholstered furniture and the mattress as well. If possible, use wood flooring, a non-toxic mattress, and organic cotton sheets. Use cedar chips or real lavender sachets instead of mothballs. If allergy prone, use dust mite covers on your mattress and pillows. Always launder your pillows every six months, with gentle detergents listed above. Bathroom: Use aluminum-free, paraben free, and phthalate free skin care (including deodorants) and hair products. Good skin care lines include: MyChelle, Jurlique and One Love Organics. For non-toxic deodorants and more, check out EWG’s Verified products. Use nontoxic products to clean your bathroom. Baking soda is great for cleaning sinks and tubs; just add a little vinegar or lemon juice. Ventilate your bathroom. Open windows and use the exhaust fan to prevent mold growth. Garage: Do not stockpile old solvents and paints that may contain volatile organic compounds (VOCs). Buy non-VOC paints, and buy only what you will use. 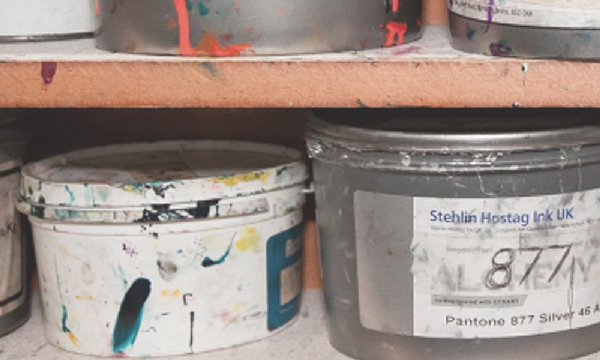 Visit this website to find out where you can properly dispose of your old paints and solvents. Do not put them in the trash or down a drain. Air out your new car. That new car smell is highly toxic, so keep your windows open as much as possible until it’s gone. When you first get into a hot car, open windows and let hot air out before running it through your A/C.